On another bone tingling, spine chilling episode of After Hours AM/America’s Most Haunted Radio, Thursdays 9-11pE with hosts Joel Sturgis and Eric Olsen, we welcome THE current power couple of the paranormal, Greg Newkirk and Dana Matthews, renowned for their Traveling Museum of the Paranormal and the Occult; Planet Weird website; live appearances hither and yon including the Nick Groff Tour, Amy Bruni’s Strange Escapes, and John E.L. Tenney’s The Seance; and recent guest star appearance on Finding Bigfoot’s special “Paranormal Bigfoot” episode. Greg and Dana will join us at 10pe; at 9pE Joel and Eric will ponder and explicate the week’s paranormal news and hobnob among ourselves. Join us right here for the live show and the podcast recording! For nearly two decades, Greg Newkirk and Dana Matthews have traversed North America on hundreds of paranormal adventures in search of everything from legendary monsters to mind bending psychic phenomena, covering everything in between. 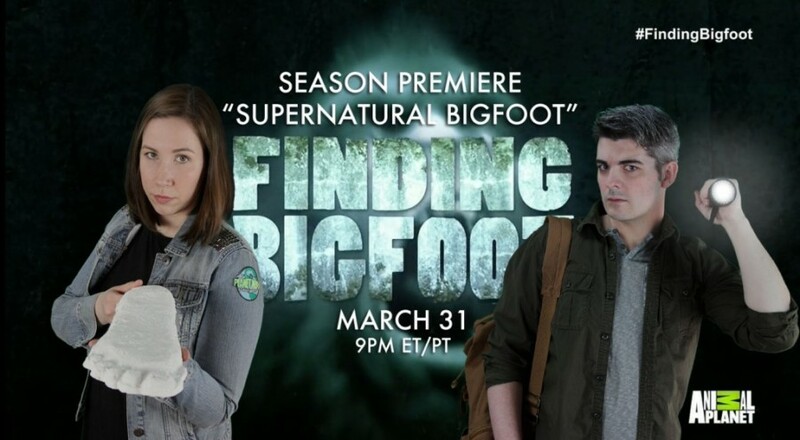 They’ve come face-to-face with Bigfoot deep in the hills of West Virginia, successfully orchestrated an alien abduction on North Carolina’s mysterious Brown Mountain, and grappled with angry ghosts in a violently-cursed town in rural Pennsylvania, to name just a few adventures. Not content to merely tell stories on their Planet Weird site, the pair also travel to events across the country to personally share their experiences with a series of interactive lectures that combine hands-on demonstrations, audience participation, and never before seen footage from their adventures. Each lecture is tailored to help guests engage the strange, whether it be getting abducted by aliens, spending a weekend with real-life vampires, or even harnessing your own psychic powers with a little bit of help from the United States government. 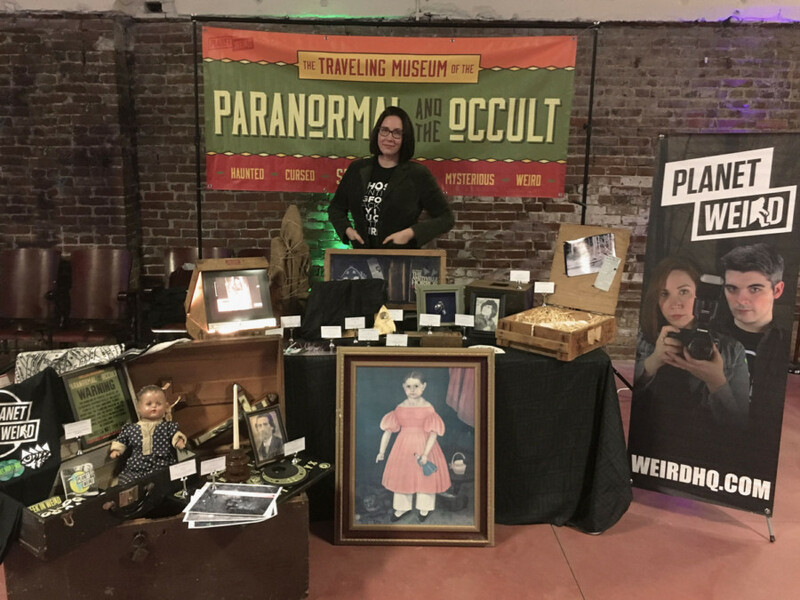 Additionally, Greg and Dana can regularly be found at events with Planet Weird’s Traveling Museum of the Paranormal and the Occult, a collection of the most bizarre artifacts they’ve gathered during their adventures, including everything from a cursed painting known to fling itself from walls, a human skull once used for occult blood-rituals, and even a plank of wood from the infamous Amityville Horror house. By day, Greg Newkirk is busy pointing adventurous road warriors toward the world’s weirdest destinations as the face of video content and weird travel expert for Roadtrippers, the fastest growing travel website in the world. He also acts as the Editor-In-Chief for the Week in Weird, an online magazine about all things out of the ordinary. Greg’s writing is regularly featured both in print and online in publications like Yahoo! News, Gizmodo, and Coast to Coast AM, as well as in local and national news networks across the country. 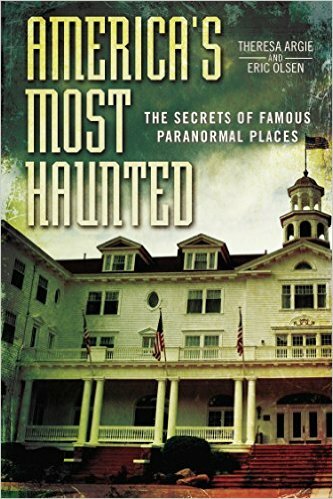 By night, Greg tracks down and investigates cases of the anomalous, the paranormal, and the occult, and it’s this research that has had him criss-crossing the continent for nearly two decades in search of monsters, mysteries, and magick. In that time he’s tackled cases of encounters with mine-dwelling extraterrestrial “goblins”, witnessed the mysterious Brown Mountain Lights, drank questionable liquids with real vampires, and had books thrown at him by a poltergeist trapped in a church. In addition to researching, investigating, and writing about the paranormal, Greg has appeared on and acted as a consultant for numerous television productions on the subject of the strange, including projects that have aired on A&E, Destination America, Animal Planet, and the Discovery Channel. In 2011, Greg directed and edited the award-winning documentary The Bigfoot Hunter: Still Searching, a film that follows an ex-military monster hunter as he treks deep into the woods of southern New York in search of the Sasquatch. Journalist, ghost story enthusiast, and paranormal TV junkie, Dana has been actively investigating the strange and the anomalous for well over 15 years. And yes, after all this time, she’s still scared of ghosts. If you’re Canadian, you might recognize Dana as a cast member on SPACE’s internationally syndicated series The Girly Ghosthunters, though she’d probably prefer it if you didn’t. Dana spent her formative years tracking down the unexplained with the Kitchener Waterloo Paranormal Research Society, a hobby that led her to write about the fringe on a regular basis. Dana is currently flexing her journalistic muscle as a senior staff writer at Roadtrippers where she’s carved out a considerable niche in the wild and wonderful world of offbeat travel. Her writing has been featured in local and national news outlets across the county, as well as Nerdist, io9, Jezebel, Mary Sue, Dread Central, Kotaku, and other great publications both in print and online. When she’s not recounting tales of supernatural showdowns or penning articles about the world’s creepiest locales, she acts as a producer, writer, host, and assistant editor for Engaging the Strange.